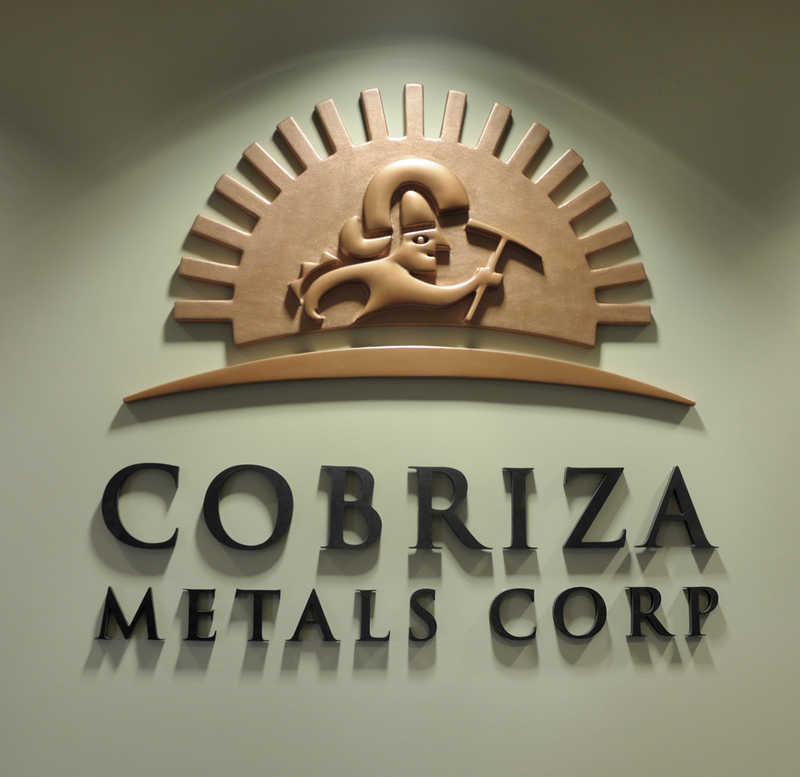 The main focus of the graphic treatment in the Cobriza Metals Corporation Sign was to embody the tradition and the textural versatility of metal. To achieve this effect, laminated layers of High density Modelfoam® architectural foam was machined into the precise contours of the 3D model provided by the client. Once this was complete, a variety of metallic finishes were applied through a series of steps to replicate the textures of hammered and polished metals. This entry was posted in 3D Engraved Signs, 3D Foam, 3D Text, CNC Signs, Signs for Vancouver Business and tagged 3D CNC Signs, CNC Engraved Signs. Bookmark the permalink.